The Former Scott Paper Mill (FSPM) Site is located in the northern portion of Fidalgo Bay on its western shore in Anacortes. The site is bounded on the south by 20th Street, on the west by Q Avenue, on the east by Fidalgo Bay and on the north by Cap Sante Marina and Seafarers’ Way. Prior to the development as an industrial site in the late 1800s, the area was largely a shallow tideland. The tidelands were gradually filled, and the grade modified. Commercial use of the site began in 1890, with a lumber mill operating until 1955 and a pulp mill operation added in 1925 and operating until 1978. At this time, the pulp mill closed, and the site was divided and sold. In 1978 and 1979, the Port purchased the northern portion of the site. From approximately 1990 to 1993, the Port constructed and operated a log storage facility. A public park, currently known as Seafarers’ Memorial Park, was constructed along the eastern shoreline during the late 1990s and included a public small craft launch facility that extended into the marine area. In 1999, the Port sold a portion of the site to Sun Healthcare Systems, Inc., who following initial cleanup and redevelopment activities, subdivided the property into three sub-parcels that were later sold to the Northwest Educational Service District 189, Anacortes Concepts, LLC and Seafarers’ LLC. 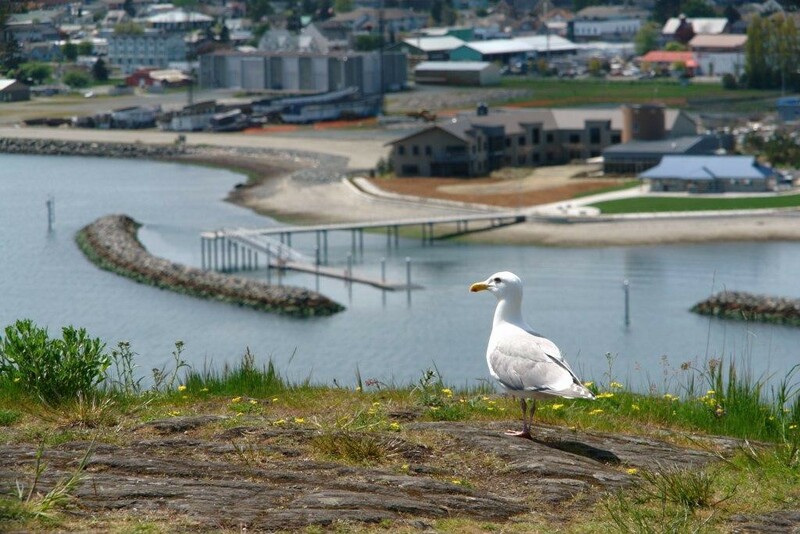 The Port retained ownership of the northwestern parcel that currently consists of a Marine Skills Center and asphalt-paved and gravel parking areas. Soil cleanup activities occurred at (7) upland remedial excavation areas and (6) remediation areas within the 75-feet shoreline buffer zone. Sediment cleanup activities included demolition of wood debris which included a timber breakwater and dredging of approximately 2 to 3 feet of near shore and off-shore sediments and wood debris from the marine area. Marine and shoreline cap material was placed across dredged and excavated areas to restore original grades. Upland site restoration activities included relocation/replacement of utilities impacted by cleanup actions; backfilling activities to restore surface grades to the design elevations; restoration of park features including sidewalks, lighting, benches, landscaping and park building. Marine site restoration activities included construction of two rock wave attenuator structures to reduce wave energy and erosion and replacement of the existing small craft launch facility which included a pier, gangway and float system. Following completion of the cleanup actions, a Post-Construction Groundwater Monitoring Sampling and Analysis Plan was developed for use in the required compliance monitoring of the upland and shoreline buffer zone areas of the project site. The post-construction groundwater monitoring program for the site establishes a network of monitoring wells to verify that the cleanup action is protective of groundwater and to provide a basis for long-term monitoring, if necessary. Post construction groundwater monitoring began in 2011 and continues to be conducted at the site per Ecology’s directive. The long-term monitoring program for the site was designed to evaluate the success of the mitigation actions relative to their stated goals and functional objectives and established performance standards. The mitigation plan includes physical and biological monitoring at the mitigation site and extends over a ten-year period, 2011-2021. Based on the most recent monitoring completed in Year 4 (2015), the FSPM site is providing quality habitat and meeting the objectives of the mitigation actions for the project. The colonization of transplanted and volunteer eelgrass has far exceeded the projected colonization rates. 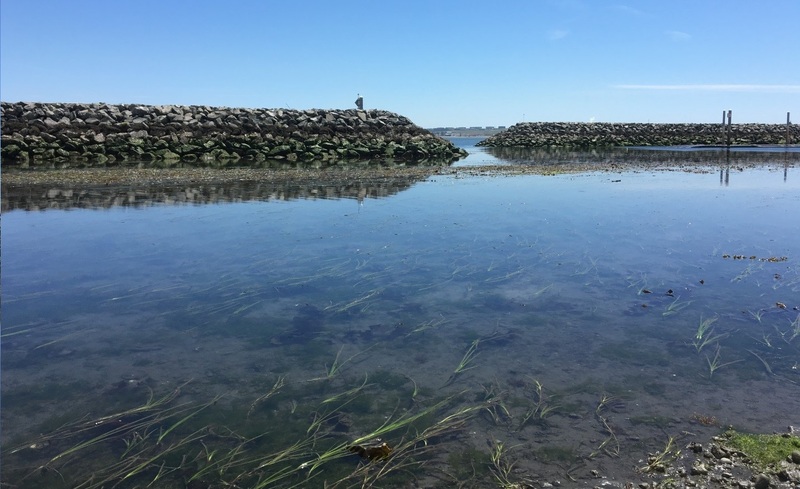 Additionally, the site is providing quality macroalgae, riparian and surf smelt spawning habitat within Fidalgo Bay.